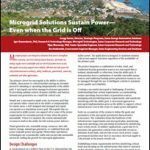 People who don’t understand microgrids–or energy in general–can get their eyes and hands on microgrids with a portable Microgrid Exploration Station created by the Wisconsin Energy Institute. 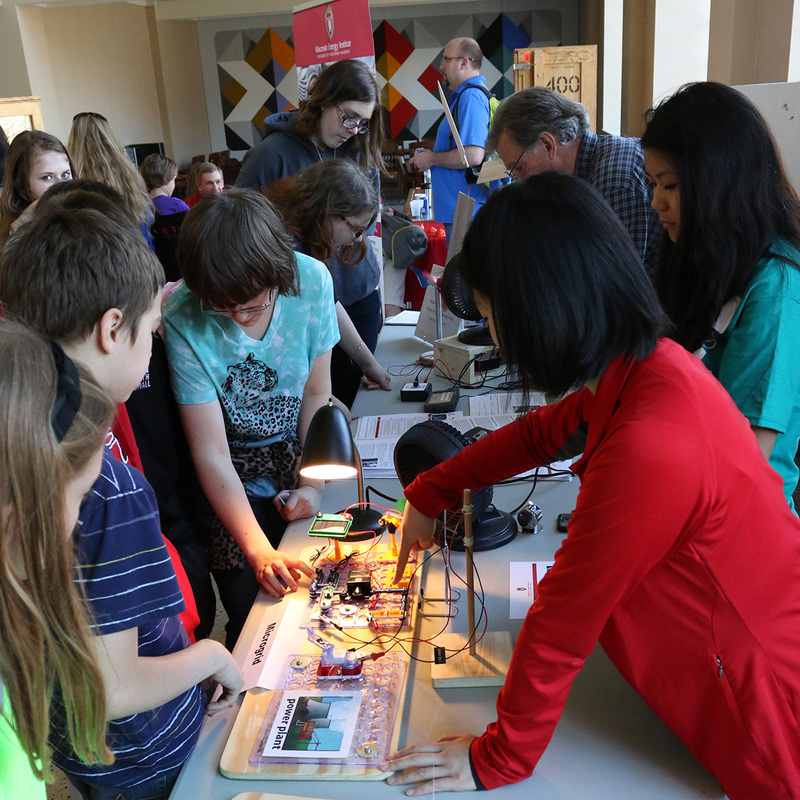 The exploration station is a great way of visualizing how microgrids operate–and also better understand how energy flows in general, says John Greenler, director of education programs for the Wisconsin Energy Institute in this podcast interview (see player above). The station is a portable one-by-three-foot wooden platform made up of circuits that snap on and off. Visitors can visualize various scenarios by snapping the circuits together in different ways and following the path of the circuits. The scenarios can be more or less complex. Included in the station are LED lights, voltage meters, battery storage options, and renewable energy options, he says. “It’s very easy for the learner to appreciate how the circuits are working and be able to switch on different sources of power,” says Greenler. 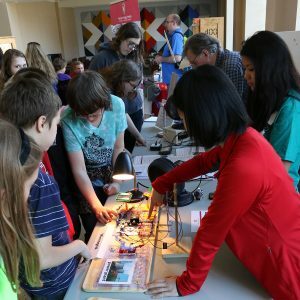 The Microgrid Exploration Station is portable, and has been used at science fairs, classrooms, or in science museums, he says. Generally, people don’t understand the fundamentals of energy–how electricity moves and what sources of power are available, for example. The exploration station helps answer many of their questions. 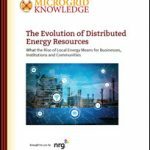 The University of Wisconsin has conducted research into microgrids for many years. Led by emeritus professor Robert Lasseter it is viewed as a pioneer in the field. “Robert Lasseter coined the term ‘microgrid,'” Greenler says in this interview. Microgrids are important to the Midwest for a number of reasons, says Greenler. First of all, the Midwest is home to large amounts of wind power that can be integrated into microgrids. What’s more, the region is seeing more solar due to the fact that it’s becoming less expensive. Microgrids provide resiliency–and that’s needed in the Midwest, he says.